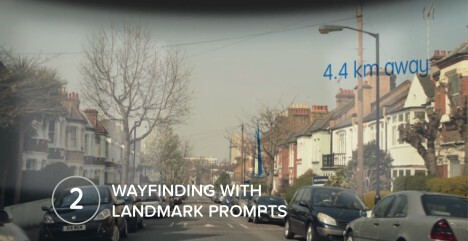 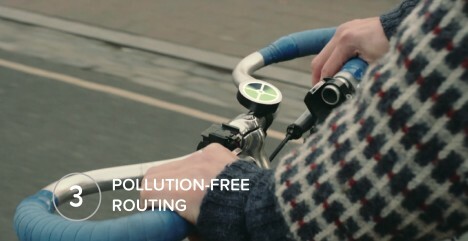 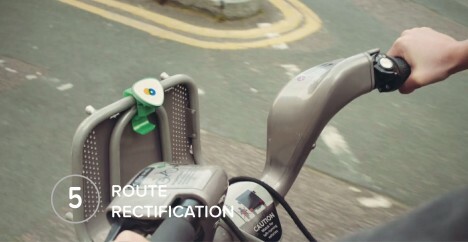 Five initial functions are proposed by the Connected Cyclists project for this wearable prototype, all around themes of navigation in London, a place notorious for the variety of its path types and unexpected route shifts. 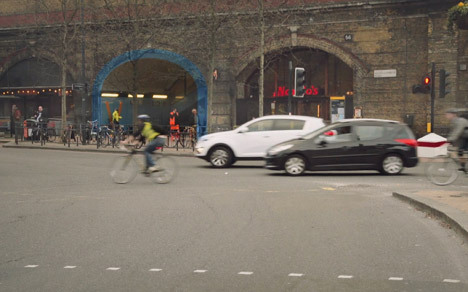 With so many transitions between street paths, parks and alleyways, it can be hard for bikers new to the city to know where to go – subtle highlights of next steps could solve that problem. 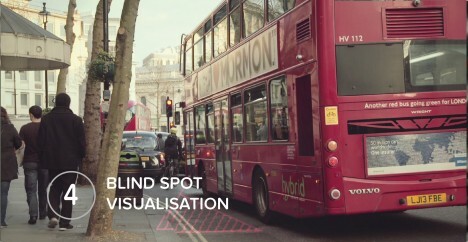 Blind spot visualization assists travelers as they pass in the shadows of cars, buses and trucks, while an overall approach promoting backstreet network paths helps avoid traffic and poor air quality in the first place. 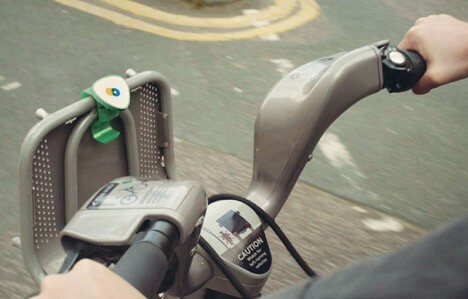 Monuments, icons and landmarks displayed subtly in the background can also give clues to riders about where they are in the city. 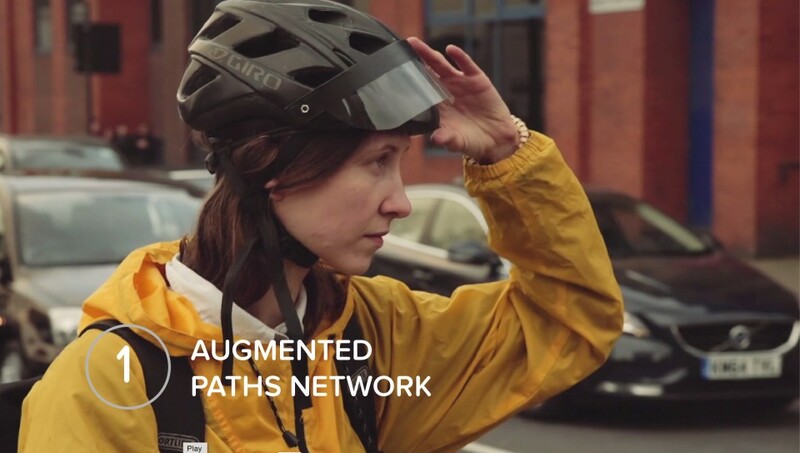 The key is making such technology accessible and seamless, a distraction-free overlay to other visual information being taken in by those on bikes moving through the urban environment.